We had some good friends visit us this week. He is an old college roommate of the husband's, and she is someone the husband introduced the roommate to. The rest, as they say, is history. While based out of Houston, the couple now live in Saudi Arabia. 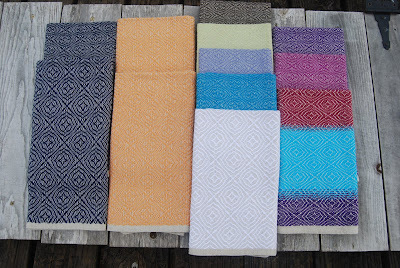 She started weaving on a Cricket rigid heddle loom sometime in the last year or so. As you know, I started weaving a couple of years ago and acquired a Schacht 25" 8 harness table loom and a LeClerc 36" 4 harness floor loom. The LeClerc found a new home with a dear friend of mine last month. Yesterday, the Schacht found a new home and will shortly be on its way to Saudi Arabia. 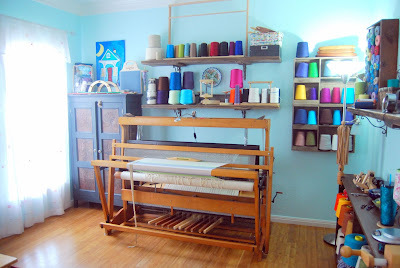 While I loved both looms, I had decided my dream loom was something along the lines of an 8 harness 48" floor loom. Brand new, those kinds of loom are very expensive. As both of my former looms were used, I had no problem with buying a used loom. Shopping for a used loom revealed one major issue: location. Most people selling their looms want someone to come pick it up because they do not want to take it apart to ship it. As a buyer of a used loom, I did not, necessarily, want someone to ship me a box full of loom parts with little to no idea of how to put them all together. Thus, I have been limited in my search to finding a loom in driving distance of South Texas. For the past few months, there has been a lovely contender for the loom of my dreams, a Schacht 46" 8 shaft in Amity, Arkansas. 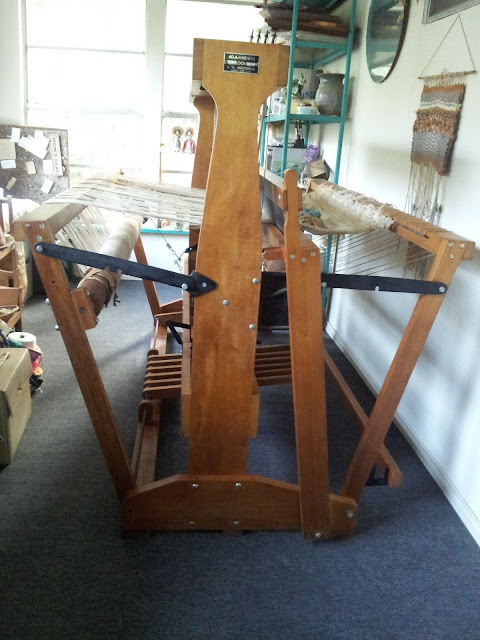 New, this loom runs about $4,700, without shipping from the seller/manufacturer. The asking price was $2,300 with free pick up. As in, I drive to Arkansas to get it. 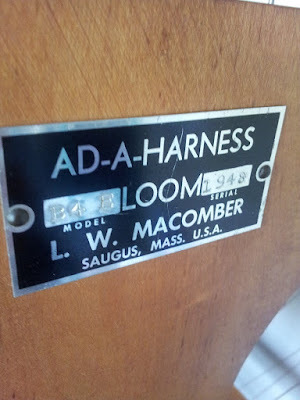 Well, before today, I had not heard of a Macomber loom, but I found one between four and five hours away called a Macomber B4 E, Add-a-Harness. Basically, this is a four harness loom that is 56" wide (WOOHOO!) that can accommodate up to ten harnesses!! To give you an idea of what I can do with a 56" width, a queen size quilt is usually 60" x 80". That is a really nice blanket width. According to the owner, "The maple loom was purchased brand new in 1976. I am the original owner. Has seen light use and is in excellent condition. It has a 16 dent stainless steel reed and 4 harnesses. I paid extra for a brake on the warp beam." The asking price was $1,295. According to the price list from Macomber, today that loom would be $3,777. With all ten harnesses, it would $5,625. As soon as I saw it, I contacted the friend who bought the LeClerc. I needed a little sound advice before I did something impulsive. She did some research. I did some research. She found where we could add a harness kit for about $300, and I found that I could get another reed for about $118. However, neither of those purchases needed to be made anytime soon. The Macomber company appears to have been in business the last 80 years. After I compiled all the information, I actually visited with the husband about it. With his blessing, I bought it. I am waiting to hear back from the seller to see if we can pick it up next Sunday.